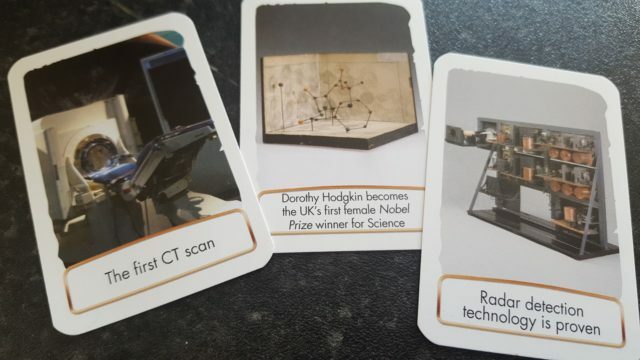 Quite some time ago we reviewed Timeline – British History, a card game which has players trying to decide where on an ever-growing timeline one of their event cards fits in. The examples from that version included gas lighting appearing on London’s streets, or the (increasingly-bewildering) vote to leave the EU, or the introduction of the Post Office. All very British. 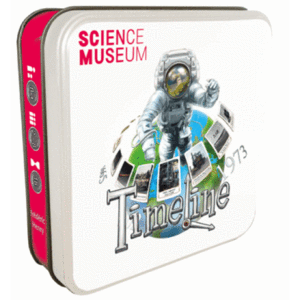 So here we have the latest version in the series of Timeline games, this time focussing on all those science and technological things you might find out about if you were to spend a day in the undeniably awesome Science Museum. The rules are the same as we described last time round, each player tries to position a card of their choice onto the ordered line of events laid out in the middle of the table. If they get it right, the next player takes a turn. Get it wrong, and that card is put away and another drawn in its place. The only way to win is get enough right so that you get rid of your cards before anyone else. It’s incredibly easy to learn, and amazingly difficult to actually get right. There are a great range of events on these 100-odd cards, some of this you can see in the photos below. Some are pretty obvious, or at least easier to work out, while others are extremely obscure and will have you reaching for your phone to Google what it actually is, never mind what year it happened in. But the fun factor remains high as people gasp and groan at getting just the wrong side of another card’s year, or try and argue that the cards are wrong and their own understanding trumps that of the game’s developers and the Science Museum themselves. All good fun. 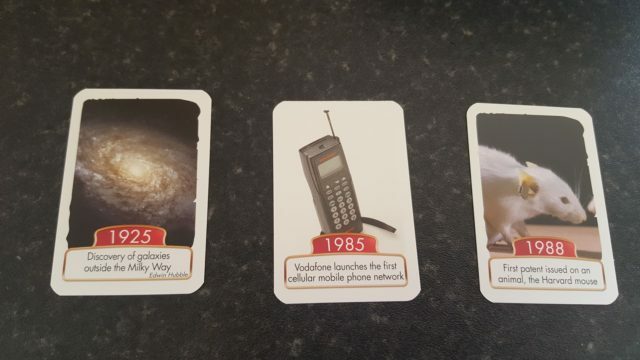 What’s also cool is that you can mix these up with other sets, so it’s entirely possible for me to now create a British History and Science pack of well over 200 cards, giving a more mixed and challenging set of games to play. 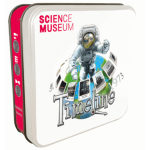 So with a low price point and very real danger of being educated by this game while having a good amount of fun, anyone with an interest in science and the history of science should take a close look at this. The games are short, and while you probably won’t want to play several games back to back, the likelihood is you’ll go back to this a few times and most certainly get your money’s worth out of it.